When late last year, the UK foreign minister Boris Johnson visited Iran, a country at the centre of various military conflicts and diplomatic controversies, the only issue that concerned the British media was his conversations with the Iranian government about Nazanin Zaghari-Ratcliffe, a british-Iranian woman convicted on trumped up charges of plotting to “topple the regime”. The dual British-Iranian national, initially detained in April 2016 as she sought to return with her daughter back to london following a family holiday, is now languishing in a Tehran jail after she was sentenced for five years. 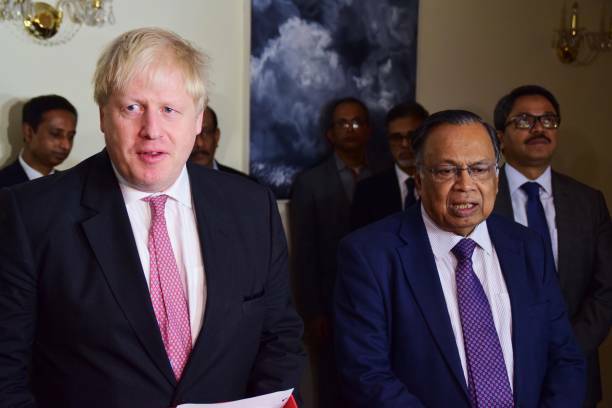 Boris Johnson arrived in Bangladesh on Friday, but it looks like that the release of a British-Bangladeshi man who was picked up by law enforcement authorities in July 2016, and has been secretly detained ever since, was not on his agenda.